Three pro-Russian militants were killed in an engagement. 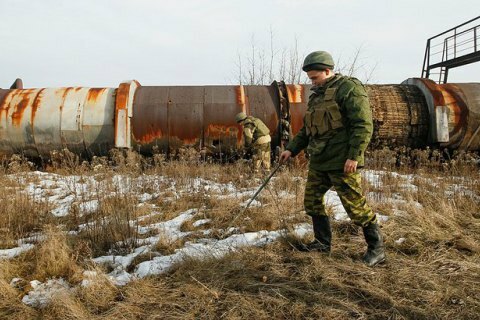 A group of servicemen from a mechanised battalion stationed near Horlivka, Donetsk Region has got into a trap during a patrolling mission and triggered an explosive device, the press centre of the Joint Forces Operation (JFO) has reported. "One serviceman was killed and two wounded by the explosion of an unidentified explosive device set on their route," it said. A stand-by group from the next strongpoint arrived at the site and came under enemy fire. "After a short fire engagement, the reserve group started chasing the enemy, killing three militants," the press centre said. Units stationed in the area were put on full combat alert.